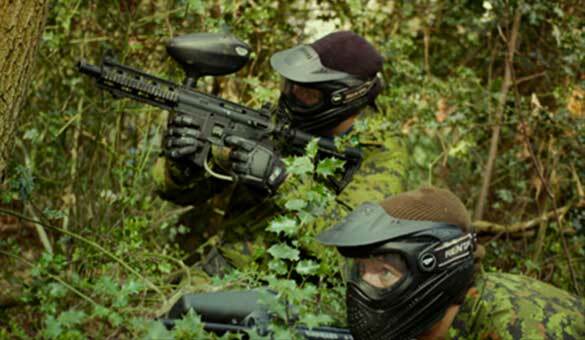 When Tommy launched GO Paintball London, we made it our mission to find our customers the newest technology and best Paintballing guns, goggles and equipment, to bring them all together to create the ultimate and most formidable and unrivaled standard paintball ‘equipment hire’ package out there! 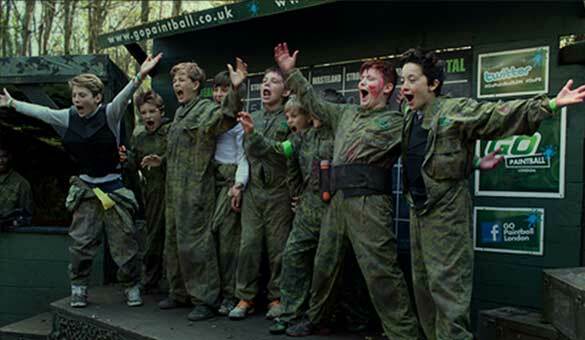 What does this all mean for you and your squad on your day at GO Paintball London? Simple! More accurate & reliable guns, along with less hassle from fogging goggle lenses leaving you all to get on with having an awesome and unforgettable day on our professionally designed game maps! New technology & professional level gun upgrades – Play your way! We are proud and excited to announce that we have been chosen as the flagship venue for brand new Paintball gun technology, and are the only venue in the world to be kitted out with this awesome variation of new Paintballing weaponry! On top of our unbeatable new Standard Issue Rifles, we also are only venue in the world to offer 2 new Professional Level gun upgrades for our players! Check out our beastly Etek Assault Rifles and sharp-shooting Etha Sniper Rifles. So whether you see yourself laying down covering fire for your friends, being that deadly and sneaky sniper, or your squad’s objective playing run and gunner – just like computer games such as Call of Duty and Battlefield – each player can choose a weapon option that suits their strengths and their play style to help their team to victory! Utilising new Paintball gun technology, our super-reliable and pretty much bombproof new Standard Issue Rifles are the tried and tested best standard issue rifles in existence. A solid firing system and an ergonomic design creates a stable shooting platform to lay down good closer range fire with a semi-automatic fire rate of around 3 rounds per second. This new professional level Etha Sniper Rifle is based off a variant of the M110 Semi-Automatic Sniper system that is commonly used around the world as a platoon level support gun. Our sharp-shooting sniper rifle is fitted with the most accurate ported Paintballing barrel and fires with a much quieter sound signature, ideal for those stealthier mid/long range shots. It also comes fitted with a fore grip for steadiness and better mobility between cover. This Sniper Rifle is semi-automatic with a rate of fire of around 4 rounds per second. Our new, beastly Etek Assault Rifle is based on the legendary G36, used globally by Special Forces and armed law enforcement. 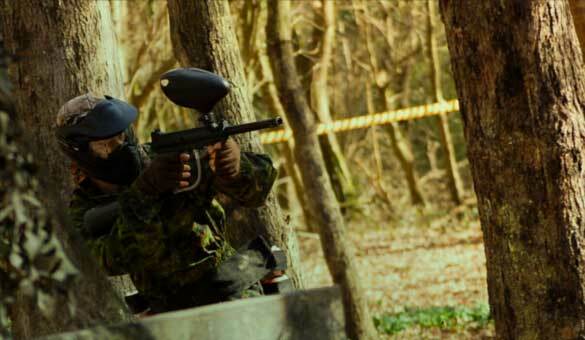 This professional level Paintball gun is built with an electric firing mechanism, break beam ‘eyes’ and a micro switch double trigger, allowing the operator to not only fire semi-automatically, but also fire rapidly at up to 8 rounds per second if needed! Its adaptable ROF coupled with its accurate ported barrel make this ideal for game changing players over all ranges. 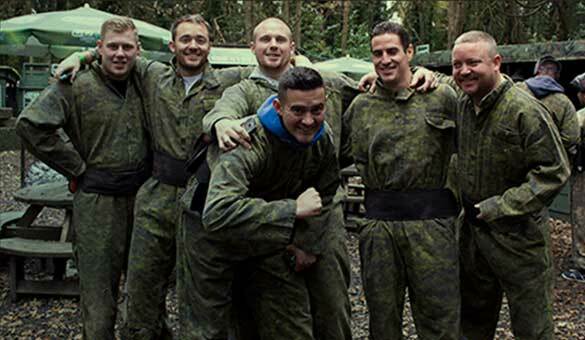 GO Paintball London have 50 Acres of the most exciting and immersive modern warfare battlefields, professionally designed to create the most fun and intense Paintballing experiences possible! Spread over our five epic maps, all with differing scenarios, your team will score points throughout the day by completing missions, controlling objectives and retrieving intel. 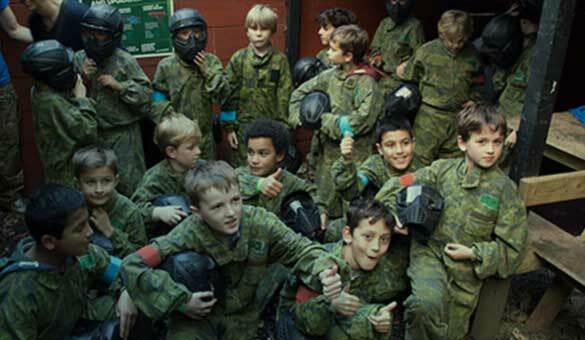 Each map is a varied size giving a whole different feel to each mission; from football pitch sized battlegrounds to close quarter encounters, GO Paintball London offer the full paintball experience to suit everyone. We are also one of the only venues in the world to run timed ‘respawns’, meaning you can come back into the game as reinforcements after previously being eliminated. 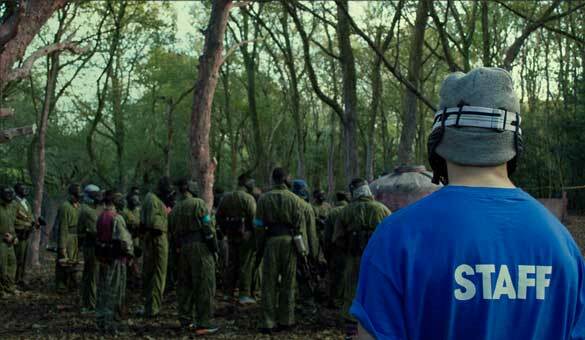 This means less standing around and more Paintballing for you and your squad! Be prepared to storm fort strongholds, infiltrate village compounds, lead assaults for control of fuel stockpiles, and scavenge for resources in our fallout wasteland. 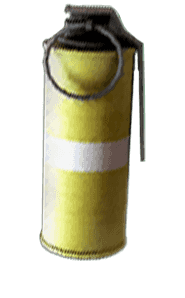 Our Nova Gas grenades are ideal for building clearance or to take down a bunker filled with bad guys! If players stay in the gas for too long they will be eliminated, so chuck it and watch bad guys scatter into your preying sights! 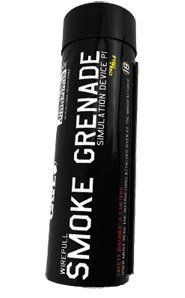 These smoke grenades are perfect for covering open ground between your squad and an objective, or to cover a hasty retreat! They pump out white cover smoke at a rapid rate for up to 90 seconds. 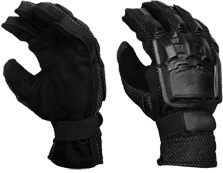 Specifically designed for Paintballing, these black full fingered gloves offer the best armoured protection for your hands and fingers. They also feature a gripped palm for better gun control. These are yours to keep for only £8! 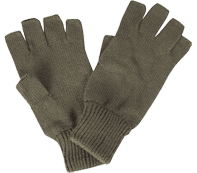 Half finger woolen tactical gloves keep your hands warm and your trigger finger ready to go! A more affordable version for players who want gloves but do not have their own. Yours to keep for only £5! 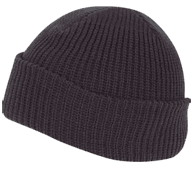 Available in Black or Olive, these fold up bobcat beanies don’t only give another layer of protection but also help to keep the sweat out of your eyes and looking cool when you are out there busting your Rambo rolls! Yours to keep for only £5!